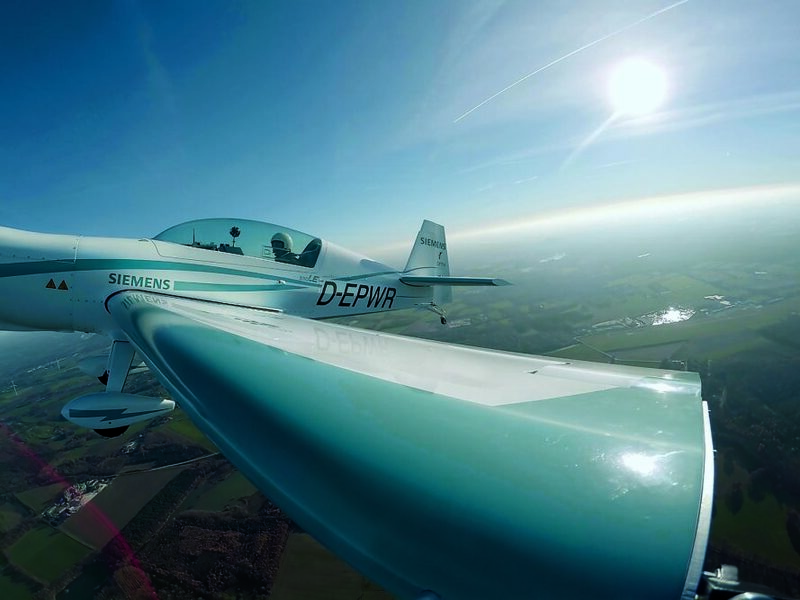 An electric airplane build by Siemens recently set two new world records for battery-powered aircraft by reaching a top speed of about 210 miles per hour. It also became the first electric plane to tow a glider into the sky. The Siemens Extra 330LE prototype plane overcomes one of the key barriers to electricity-powered flight, the weight of the batteries and associated energy density. According to Electrek, Siemens has put a lot of work into the energy density of electric motors, and as a result the 330LE delivers a power output of 260 kilowatts with a weight of just 110 pounds. The end goal of Siemens’ work on this prototype is to produce airlines for regional travel that are powered by a hybrid-electric propulsion system—a project it’s working on in concert with Airbus, which is working on its own E-Fan electric plane concept. Check out the cool video below. As Clean Technica notes, the two records the plane set on March 23, 2017 at Germany’s Dinslaken Schwarze Heide Airfield include a top speed record of 337.50 kilometers per hour (over a distance of 3 kilometers, for an electric aircraft with a takeoff weight of less than 1,000 kilograms); and a top speed record of 342.86 kilometers per hour for an electric aircraft with a takeoff weight of over 1,000 kilograms. The latter record was achieved by tweaking the craft so it was a bit heavier. Pilot, Walter Extra broke the previous record – set by the American pilot William M. Yates in 2013 – by one minute and 10 seconds. 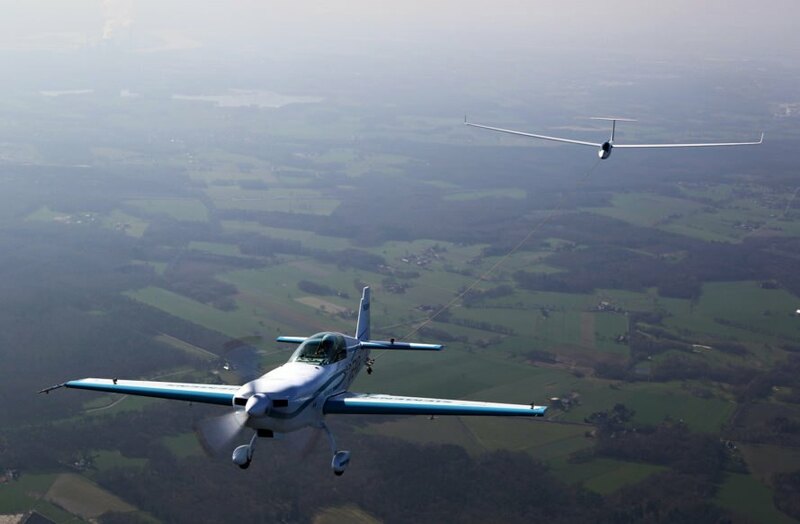 Friday, March 24, 2017 at the Dinslaken Schwarze Heide airfield in Germany: the Extra 330LE powered by the record-propulsion system from Siemens became the world's first electric aircraft to tow a glider into the sky. The nearly silent aerotow piloted by Walter Extra took a type LS8-neo glider up to a height of 600 meters in only 76 seconds. Walter Extra broke the previous record – set by the American pilot William M. Yates in 2013 – by one minute and 10 seconds.